Standard Package: 4-5 Forex Signals per week for subscribers (Telegram App/Emails: Free | SMS: charges apply) for 600pips. Silver Package: 5-6 Forex Signals per week for subscribers (Telegram App/Emails: Free | SMS: charges apply) for 900pips. Gold (Full) Package: 5-7 Forex Signals per week for subscribers (Telegram App/Emails: Free | SMS: charges apply) for 1200pips. If the trend continued to the target without taking the limit order. The Signal will be no longer valid. So it is recommended to cancel the pending order. If you received a short term trading Signal (with equal or less then 30 pips target), and If the price continued more than halfway to the target before taking the limit order, and if it don't continue to the target since around 6 or 7 hours from the price of the limit order, then the the Signals will be no longer valid. But if it touched the pending order after around 6 or 7 hours, you have to take the responsibility of that order to keep up your wining rate. Just because of the requests from the users of this signal service to receive more Signals, the trader will send some Signals which may not give you a high wining rate. And the trader is not responsible about any of your trading activities and investments. Trading financial markets involves high risks. The trader send Signals for educational purpose only. It is just an alert which the trade send when the trader guess that there is a good trend to the sell or buy side of a currency pair. But you should not take it as a trading signal to make orders, but you can analyse that currency pair with your knowledge and experience and then you can take a trading decision with your own responsibility. It is an update of a trend or an update of a trading Signal or Alert. You have to follow the trading signals with the Trend Alerts when you open or close the active orders and pending orders. But if it not followed by a Signal, the Trend Alerts is not an Signal or a recommendation to take a trading decision, but you can use it to take a trading decision with your own responsibility. When you use Stop Loss to close orders you have to take your own decision or you can keep the orders open until you receive a Trend Alert with an instruction to close it at Stop Loss which can cost 110% Pips or 100% Pips + Extra Pips loss. But if you didn't receive that instruction then you have to keep the orders open until a 200% pips loss as a double of the given Stop Loss pips, or if the Price reversed more than 110% Pips or 100% Pips + Extra Pips from the Open Price passing the Stop Loss, then you must close that orders at Open Price bringing the Take Profit Price to the Open Price of the Signal or if you opened the orders before the Open Price of the Signal, then you have to close that orders with maximum 25% loss. Now: ~=~ If you received a signal with the word 'now', then you have to open the trade as soon as possible and sometimes you have to trade even before the entry price of the limit order whether it is touched or not, between around 10 pips of the limit order/ entry price. Later: ~=~ If you received a signal with the word 'later', then you have to wait till it reach the price of the limit order. Sometime you have to enter to the trade before it touches the limit order price, but it is better to wait till it reach the limit order price. Additionally, the Ranrahas Forex course members can chat with the trader from the chat room to clarify the entry price. However, the users can use their own analysis to find the entry price with their own responsibility. Now Or Later: ~=~ If you received a signal with the words 'now or later', then you have to analyse the market your self to find whether you trade now or later till it come to the price of the limit order, and sometimes you have to trade even before the entry price of the limit order whether it is touched or not, between around 10 pips of the limit order/ entry price, but it is your own risk. Most of the times it is better to wait till it reach the price of the limit order. You can watch the Forex Signals Video Tutorial to learn more about the 'now or later' Forex Signal. I think you can understand the meaning of the word 'Now', when the Forex signal tells you to trade 'now or later' it partially tells you to trade now. So you have to take a decision yourself. But it will cost from your allocated pips whether you trade or not. So if you trade now (at the moment you received the Forex signal) you can open a low risk trade, and then you should be prepared to open another order later (after minimum 40% distance compared to the take profit pips). Only the Forex signals subscribers can chat with the trader to clarify the entry price, but it can make you too late, sometimes. 1.) Sell limit = 1.0021 or 1.0025 or 1.0030. 1.) Buy limit = 1.5071 or 1.5066 or 1.5063. You will receive 'Unsure Signals' (! : Signal) to use with your demo account. Unsure (*UNS) Signal is not counted as a professional trading signal and it is not taken to count the winning rate of main signals. So you should not use it with your real trading account unless it agrees with your own trading strategy. However, it is not recommended to use that 'Unsure (*UNS! 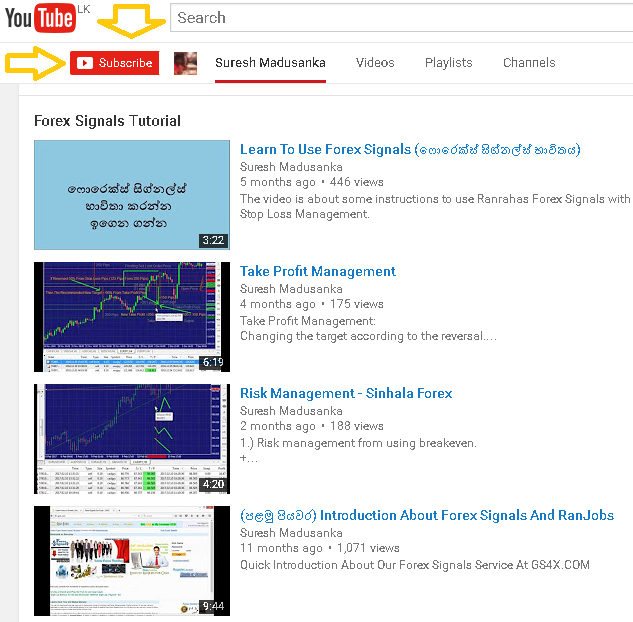 :) Signals' with your real trading account if you are not a professional technical analyst. But if you are a paid member you can chat with the trader or you can read the conversations of the trader to get an idea about it.